At the end of June, just over 82,000 mortgages on principal private dwellings were in arrears, down 16pc over the past 12 months. Arrears on buy-to-let properties, which stood at just over 27,000 at the end of June, are also falling, down by 14pc on June 2015. Mortgage arrears peaked at almost 183,000 (143,000 loans on principal private dwellings and 40,000 buy-to-lets) in June 2013. On the face of it, the level has fallen by over 40pc, from 183,000 to just 109,000 over the past three years. So does this mean that the problem is on its way to being solved? Maybe, maybe not. 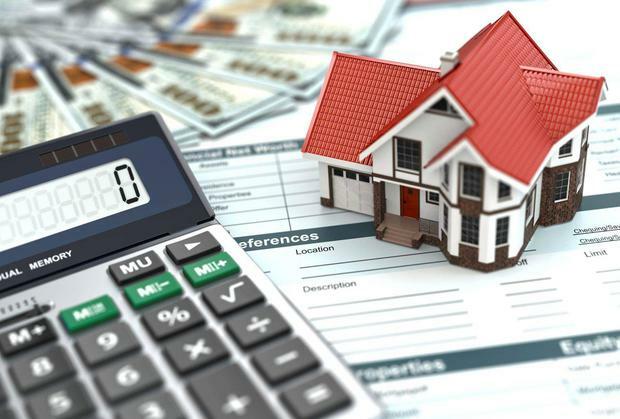 While the number of mortgage loans in arrears has fallen significantly over the past three years, there may be less to this reduction than meets the eye. Not all mortgage arrears are the same. There is a world of difference between a borrower who pays most of his or her mortgage most months and a borrower who has been in arrears on his or her loan for a year or even longer. There were 45,000 mortgages on principal private dwellings at least a year in arrears at the end of June, and 18,000 mortgages on buy-to-lets also fell into this category. The number of mortgages in long-term arrears has declined far more slowly than the number of mortgages in short-term arrears. The number of mortgages on principal private dwellings at least a year in arrears peaked at 61,000 in June 2014, while long-term arrears on buy-to-lets topped out at 23,000 in September 2014. The number of mortgages that are a year or more in arrears has fallen by just 25pc from its 2014 peak. Even allowing for the recent reductions, the level of mortgage arrears remains shockingly high. One in nine of all mortgages on principal private dwellings were in arrears at the end of June, with 6pc of all loans at least a year in arrears. The situation is even worse with buy-to-let mortgages, with a fifth of these loans in arrears, of which over 13pc were at least a year in arrears. Things aren't as bad as these figures indicate - they're almost certainly even worse. At the end of June the Irish banks had €125bn of residential mortgages on their books - €100bn on loans secured against principal private dwellings and €25bn of buy-to-let loans. Of these, €15bn of the loans on principal private dwellings and €7bn of the buy-to-let loans were in arrears, a total of €22bn or 17.6pc. The fact that, eight years after the bust, more than a sixth of the Irish banks' mortgages are still in arrears, of which €14.7bn or 11pc is more than 12 months in arrears, is a truly frightening statistic. But surely, the worst is now behind us? This presupposes that the reduction in mortgage arrears is for real. But is it? At the same time as the number of mortgages in arrears has been falling, the number of restructured mortgages has been steadily increasing. At the end of June almost 121,000 mortgages on principal private dwellings had been restructured, while 27,000 buy-to-let mortgages had also been restructured. This compares to 79,000 restructured mortgages on principal private dwellings and 21,000 restructured buy-to-lets at the end of June 2013. Most of these restructured mortgages are meeting their new repayment terms, with the Central Bank estimating that 78pc of the restructured mortgages on principal private dwellings and 76pc of restructured buy-to-lets were fully up-to-date on their repayments at the end of June. That's the good news. However, when looked at more closely the success of mortgage restructuring is less apparent. Despite Nama's current difficulties, a comparison between the commercial and residential property markets is instructive. Nama purchased property-backed loans with an original face value of €74bn for just €32bn from the Irish-owned banks. This was a messy process - one that contributed directly to the de facto bankruptcy of the Irish State in November 2010 - but it had the merit of forcing lenders to come clean on their property-backed loans. Unfortunately, there has been no similar rendezvous with reality in the residential property market. This is despite the fact that average house prices are still down a third on their 2007 peak. This is reflected in the restructuring of problem mortgages. The favoured method has been to capitalise arrears, adding the arrears to the amount outstanding; 30pc of the restructurings of mortgages on principal private dwellings have been arrears capitalisations. A further 20pc have been mortgage splits, where a portion of the loan is 'parked'. About 7.5pc have been term extensions, where the loan is repaid over a longer period, a further 10pc have been either temporary interest rate reductions or switching to an interest-only loan and in about 8pc of cases the loan repayments were reduced. Only 15pc of restructurings fell into the undefined 'other' category, which presumably includes debt write-downs. While the composition of buy-to-let restructurings was slightly different, it too displays an aversion to loan write-downs, with the 'other' category also constituting about 15pc of the total compared to 25pc reduced payments, 20pc arrears capitalisation, 15pc interest-only, 14pc term extension and 7.5pc split mortgage. In the absence of debt write-downs, these restructured mortgages are extremely vulnerable to a downturn in the housing market. How many of them would unravel in the event of an economic downturn? While house prices are still up almost 7pc over the past 12 months, it is a different story when one looks at the monthly rate of increase with prices virtually flat since the start of this year. The volume of housing transactions also points to possible problems ahead. After bottoming out at just over 18,000 sales in 2011, the number of houses and apartments changing hands had risen to almost 49,000 by 2015. That, it now appears, was as good as it gets. After falling slightly in the second half of 2015, housing transactions were down by over 5pc in the first half of 2016. If the rate of decrease experienced in the first half is sustained, then about 46,000 properties will change hands in 2016, the equivalent of every house and apartment in the country changing hands once every 43 years. The rate of new mortgage draw-downs is also very weak with just 5,767 new mortgages, excluding top-ups and re-mortgaging, being drawn down in the second quarter of this year. The 23,515 new mortgages drawn down in the 12 months to June 2016 is the equivalent of just 2.6pc of the more than 875,000 outstanding residential mortgages, both those on principal private dwellings and buy-to-lets, at the end of June. All three Irish-owned banks are extremely dependent on mortgage business. Bank of Ireland had €24.6bn of Irish residential mortgages, 30pc of its total loan book, at the end of June while AIB's €34bn of Irish mortgages accounts for half of its total loan book. Any problems in the mortgage market would quickly derail the Irish banks' recovery, which probably at least partly explains the 45pc fall in the Bank of Ireland share price so far this year. Welcome as it is, the fall in mortgage arrears still rests on very slender foundations.